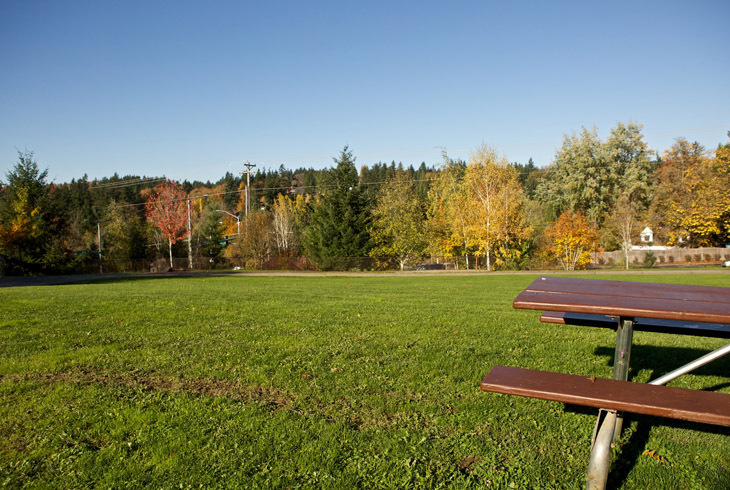 Located in the Cedar Mill neighborhood, eight-acre George Foege Park is located on the west side of NW Cedar Hills Blvd. just south of NW Cornell Road. 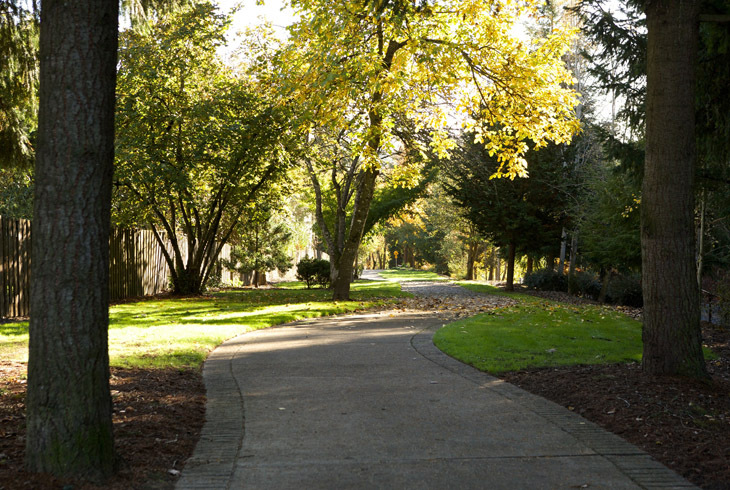 Foege Park includes picnic tables, paved walkways, a grassy lawn, and a playground with a swing set. 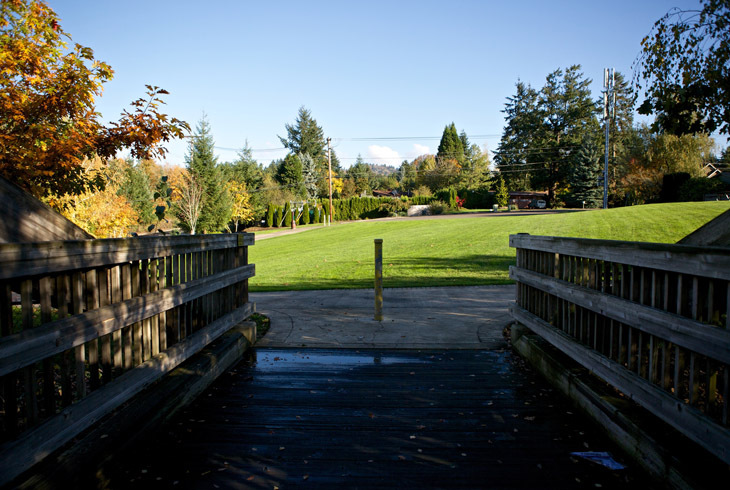 A pedestrian bridge connects Foege Park to housing on the opposite side of NW Cedar Hills Blvd. This vertical park includes a length of trail along NW Cedar Hills Blvd. Although not accessible, there is a wetland on the south side of the park where Johnson Creek passes by on its way to merge with Cedar Mill Creek.